Can I put ice cream in this? Can I put ice cream in soup containers? Yes, the ones we sell that come with lids – also known as a combo pack – work well. They’re good for ice cream because there is a poly coating on both the inside and outside of the container. This is a critical element when putting things in a freezer. The moisture will be absorbed by the pulp of the paper and become soft. But with the poly coating the container stays rigid. The interior coating is a second layer of protection that keeps the moisture from being pulled right through the fibers and into your ice cream. 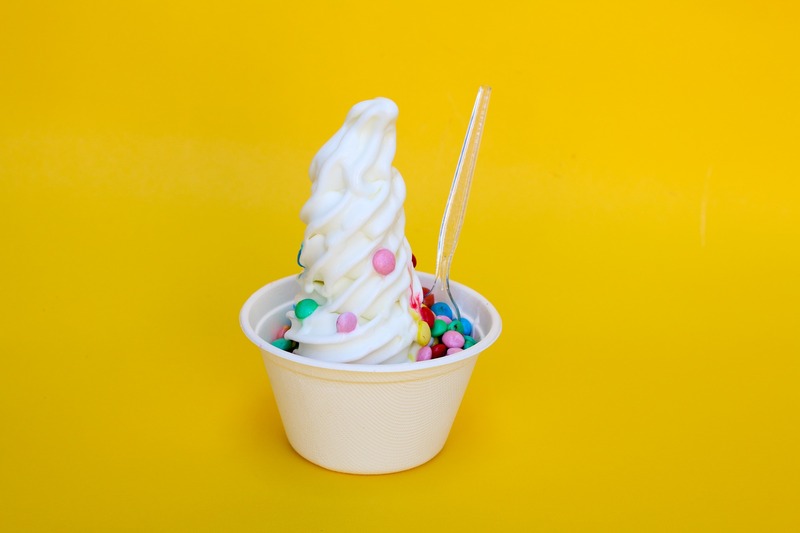 A paper cup must be coated on the inside and outside for the sake of the structure as well as the sake of your product, the ice cream. Keep in mind that if ice cream is to be stored, there is usually a plastic film that is sealed to the rim before the lid goes on. This makes the ice cream tamperproof but it doubles as a way to keep moisture from getting into the container. When ice cream is being used for a “fresh application” – which can be a short storage time, like overnight, or when it is to be eaten right away – a lid will do the trick. Our lids are vented, but you will want an un-vented lid for longer storage times. Vented lids work great when storing for a short period of time. One way to help close up the vents is to have a label made with your logo on it. This way you can seal up the vents and get the benefit of branding your ice cream. Not sure what type of freezer-safe label you need? Not to worry, our experts can help with that! Feel free to call our Packaging Advisors for help with both plain and printed items. They can be reached at 888-321-2248. You’re going to need spoons, too. We have options to suit all business types. How do I determine the right lunch box for my event? The biggest issue we commonly run into is finding the right size when it comes to lunch boxes. But there’s not one answer. Sandwiches, apples, cookies, even drinks – all common items in boxed lunches – can vary in size and shape. We all know that a sandwich on a bun will be very different from a sandwich on a hoagie roll. So the first step is knowing what you’re putting in the box and the approximate size of each item. Once you’ve identified the items and their size, I would strongly suggest calling in to speak with a Packaging Advisor about receiving samples. This is ideal, but only when there is enough time before your event to receive and test the samples before purchasing. If you have time to get samples, I recommend trying two sizes and maybe even two different colors or patterns to see which works best for you. Pressed for time? There are other ways to find the right size. I always tell customers to gather the items that they plan to pack in the lunch box and put them on a table. Now, put the items together in the same way you would intend to pack the box. Now measure the space that it takes up. Measure left to right, then from front to back, then approximate height as some snacks will need to be stacked. This method should give you a good estimate of size. Or you can pick one of the sizes listed on our site. Choose one that might work best. Then draw out those measurements on a piece of paper. Now grab your boxed lunch items and see if they fit within these parameters. Now that you have an idea of the size you’ll need, you now need to figure out the best box to use. 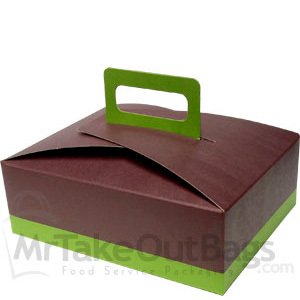 The stackable lunch boxes with handles are the most popular for catered events. They can be loaded and stacked, then easily transported to the event. Gable boxes also have handles, though when they’re assembled they can’t be stacked. These are good for smaller events. A handle on the box makes it’s easier for diners to grab their meal and still have a free hand to pick up a drink or utensils. These boxes will work only for wrapped food, such as a wrapped sandwiched and a bag of chips. These are not suitable for salads or saucy meals. For something like that you’ll want to take a look at Bio-Pak options. Serving fried food? You’ll want to pack it in vented snack boxes. These are also stackable, though they do not have handles. As with anything, if you have questions about what box, bag, cup, or plate to use for your event, give us a call. We’re happy to help you find the right solution! 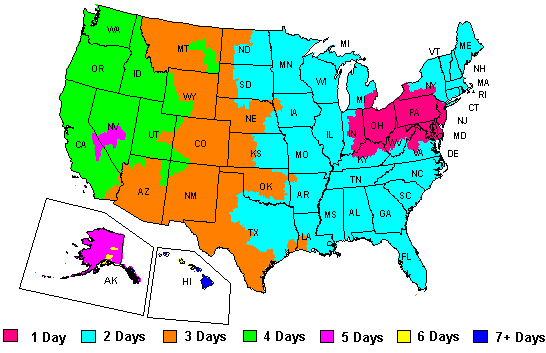 Please give us a call at 888-321-2248 and one of our Packaging Advisors can assist. 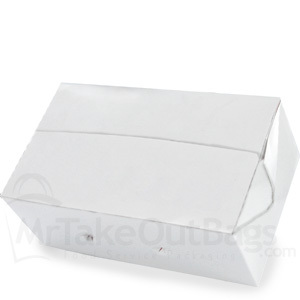 Or send us an email at sales@mrtakeoutbags.com. What do I need to know when ordering a customized item? Often we speak with people who want to put their business logo on an item, but they’re not sure where to begin. It’s understandable – there are so many factors involved that it can seem overwhelming. But the good thing is this: if you are prepared with information on a few key points, custom printing can be quite painless. You would be amazed at the amount of people who are using the wrong item for their needs. Sometimes a slight adjustment can make all the difference. A grease resistant pastry bag, for example, will be better suited for your bakery than a paper merchandise bag. Or perhaps you need paper basket liners or sandwich wraps. It’s important to get the right paper weight for your specific application. Start with your logo. If it has a lot of colors in it or a great deal of detail, it may need to be altered for printing. When we hot-stamp items we find it’s best to stick with one color logos, though sometimes two color logos will also work. There’s a bit more flexibility when ink-printing, but simpler is almost always better and leaves a lasting impression. Let’s say you’re using plain cupcake boxes at the moment, but you want to put your logo on them. It helps to know how many you’re using currently. Different printing methods – as well as the specific items being printed – will affect the minimum quantity needed to customize. The higher the quantity that can be run, the lower the price per unit. Consider how much you’re using now and if you can order up to a one year supply. While you may have the desire and budget to take on a year’s supply, remember to keep in mind what your storage will allow for. I’ve worked with customers who are ready to place a large order but realize that they don’t have the space for all those cases of boxes or bags. Because each item is packed differently, ask your Packaging Advisor to help you figure out how many cases are in your potential order. Knowing your budget is crucial. And it’s important to discuss this early on so that our Packaging Advisors provide you with options on custom packaging that are suitable. Understand that, naturally, there is a price increase when moving from a plain, unprinted item to customized packaging. So it’s important to know how much that’s worth to you and your business. 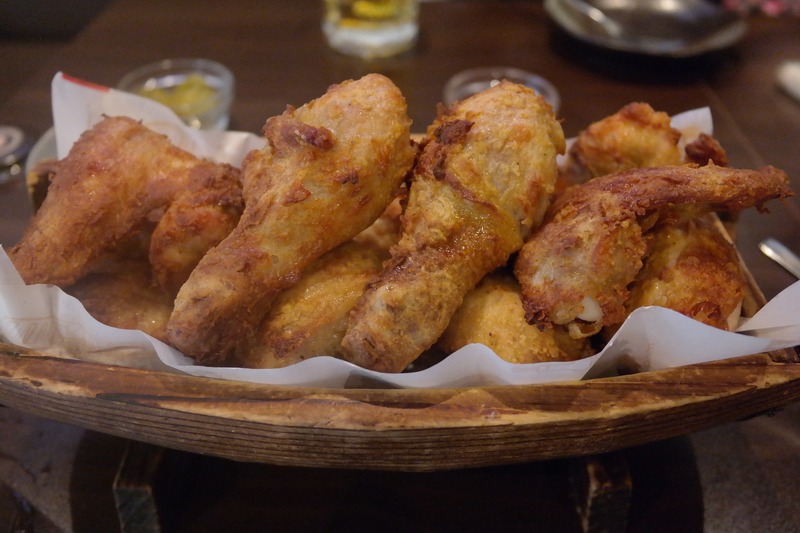 How can I keep my fried food from getting soggy? While there’s no way to keep fried food crispy as time goes by, but there are certainly ways to slow down the process. Specific styles of packaging, of course, is one of those ways. 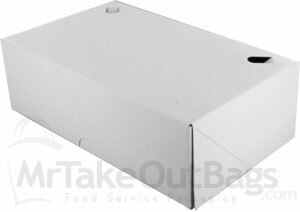 Many of our customers serve fried food and are looking for ways to keep things hot and crispy, especially when using takeout packaging. There are a few key features in packaging that can help slow the de-crisping process. Hot, fried items produce steam. Without vent holes, that steam creates condensation on the interior of the box, and turns those crispy French fries into soggy spuds. Vent holes in a box allow steam to escape, but not so much so that all the heat is gone. The white snack takeout box has vents that allow steam to escape. Not all items have vent holes built in, but some, like the BioPak box, allow steam out by the way the closes. A small gap in the closure will work to your benefit when trying to keep fried food crispy. Plus they come in an array of colors, sizes, and styles to fit your brand. Of course, if you’re thinking of custom printing, we have a vented box that’s perfect for that, too. You can find more info on those right here. Remember that almost all fried food comes in paper packaging, not plastic. That’s no coincidence. 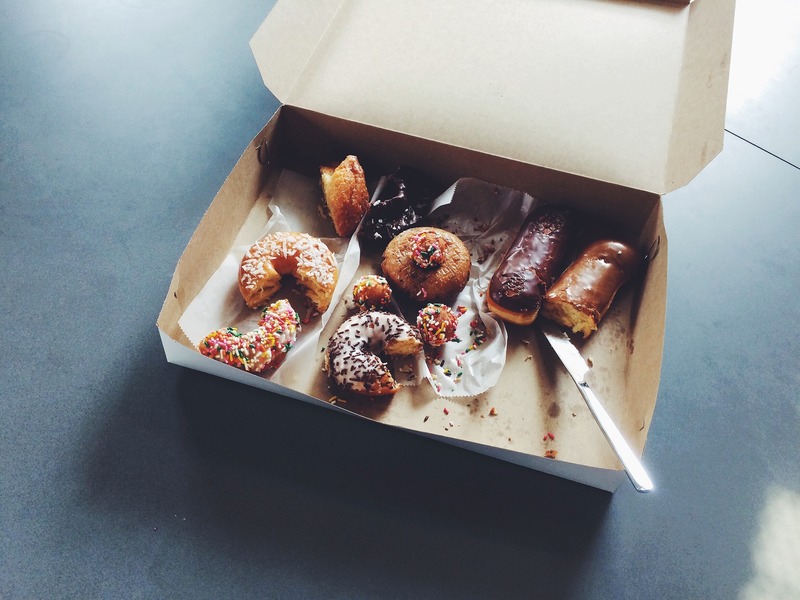 Paper will help keep some oil away from the food by absorbing some of it. A grease resistant paper will slow – but not stop – the absorption so you don’t suddenly end up with a wet-looking bag full of homemade tortilla chips. Oil will travel through the fibers of a bag, but a grease resistant paper will make that journey more difficult for oil. Not only will this help keep foods crunchy, it will also make your presentation more appealing. 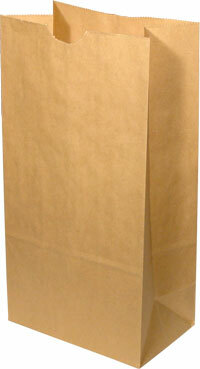 Grease resistant lunch sacks are a great option when you need something to hold a small order of a fried item. 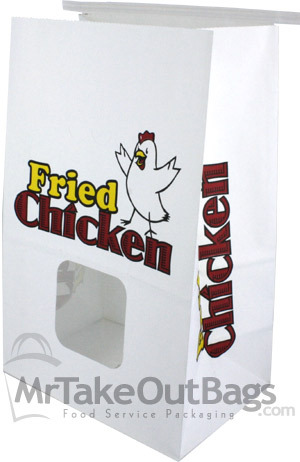 And then there are the fried chicken bags we carry. They’re an excellent option for businesses that want the right product that will help them stand out without having to move to custom printing. Not all containers for fried food need to be grease resistant. 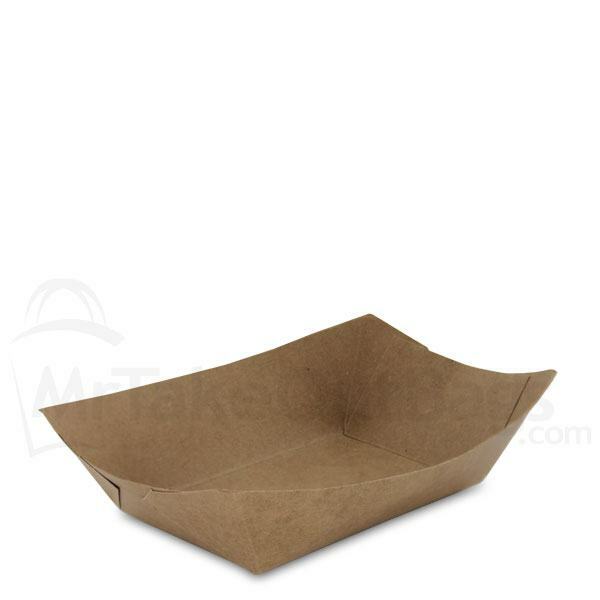 For foods that will be eaten right away, rather than delivered or saved and eaten later, paper food trays are a great option. They’re a low price point and provide a great presentation for all sorts of side dishes. These are just a few options that may work for your fried food. If you have more questions, please give us a call at 888-321-2248 and one of our Packaging Advisors will be more than happy to assist. Or send us an email at sales@mrtakeoutbags.com. I do a lot of takeout business. 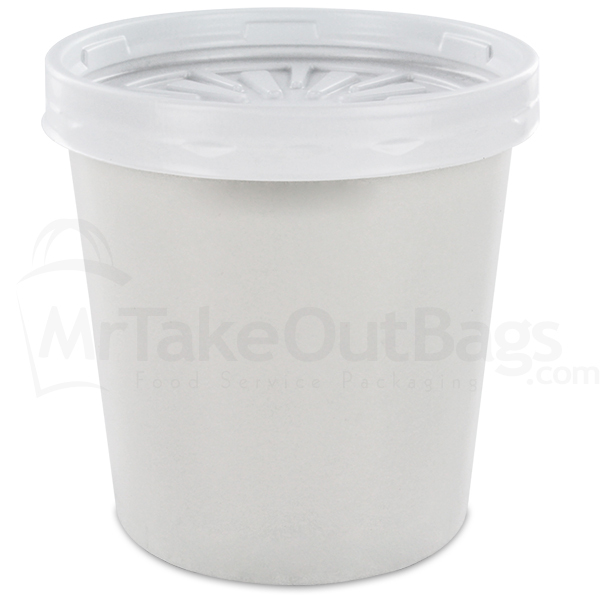 What are the right size takeout container(s) that I should stock? Your chef likely spends lots of time preparing dishes. 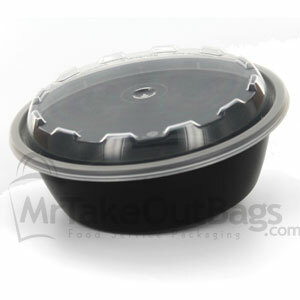 You want to be sure that your takeout containers present the dishes in a secure, warm and appealing way. Lots of restaurants fall short when they send these dishes home. 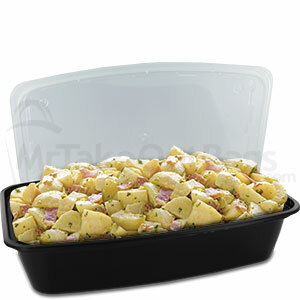 Our CuBE Plastics line is an ideal set of containers for these takeout meals. They come in 35 different sizes, so you can choose what’s best for you. And their clear lids show off the meals inside. Your customers will love them as they are microwaveable, dishwasher safe and freezer safe. Plus they can be reused over and over again. But you need to be sure you pick the correctly-sized containers as there’s nothing worse than forcing lovingly presented meals in squished containers . Tip: Pay attention to the dimensions of the containers as opposed to the listed ounces. You might think that 16 ounces sounds like a lot, but you’ll be surprised at this container’s compactness. So measure the dimensions of the largest dishes and buy containers that easily cover this size. Your diners may want to take their leftovers home. You will want a smaller container for leftovers since the meal is partly consumed, plus presentation is likely not as important. Tip: Consider stocking a few sizes for packaging leftovers. This way you won’t need to use a large container when all that is required is something small; and you won’t need to cram everything into a petite container when you need more space. Many restaurants pack the containers in bags for easy handling by customers as they head back to their homes. 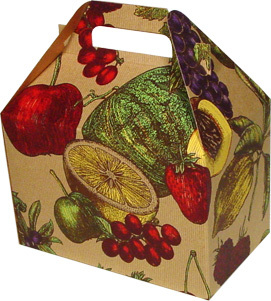 Some restaurants use t-shirt bags which are very flexible; others provide premium bags that work well with large containers. Tip: Want to learn about various types of bags? Check out this informative video. I’m looking for a stylish container. 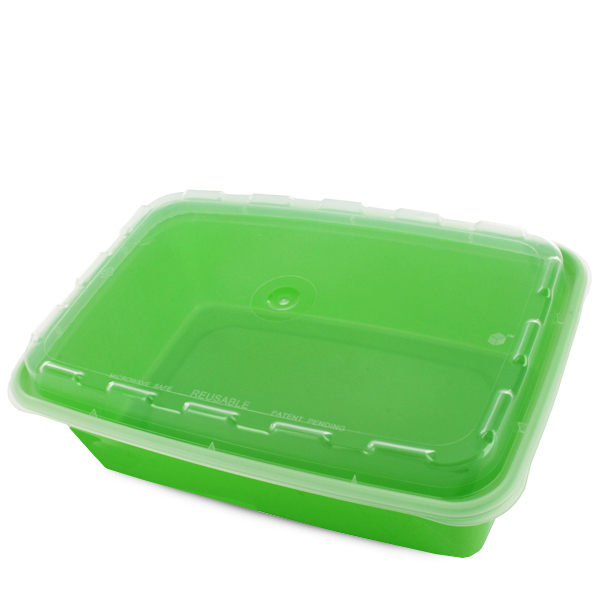 The line offers classic black containers but also comes in lime green (MrTakeOutBags is the only distributor to stock this bold, unique color). Stand out from competitors with this bright shade. Do you have questions about the right containers and bags for your restaurant? Call our Packaging Consultants at 888-321-2248. What happened in California with the Plastic Bag Ban Referendum? Effective immediately, grocery stores, retail stores with a pharmacy, convenience stores, food marts and liquor stores will no longer provide single-use plastic carry-out bags to customers. If a customer wants a bag, a business will charge a minimum of 10 cents for a reusable bag. Consumers are expected to bring their own reusable bags – particularly to grocery stores. What does this mean for California businesses? Will it affect me? Restaurants and small businesses/ or boutiques are exempt from this new bag law. Of course, for environmental and branding reasons, you might want to offer recyclable bags. My business is not based in California. Is a plastic bag ban likely to affect me? It depends on where your business is based. Hawaii and Washington DC (as well as numerous other cities around the country) have passed plastic bag regulations. However, there is a push from states to resist any such bans. The governments that have or are aiming to pass state-wide restrictions on local government enacting plastic bag plans are Arizona, Missouri, Idaho, Indiana, Utah and Wisconsin. Looking for recyclable or reusable alternatives? If you are a small business, you are probably not affected by a plastic bag ban. 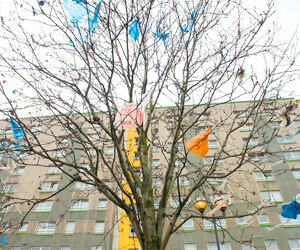 But if you do use plastic bags you may want to consider a higher quality, recyclable bag. Or you can alternatively use a Reusable heavy weight (over 2.5 mil thickness) bag that is meets the current definition of a reusable plastic bag. 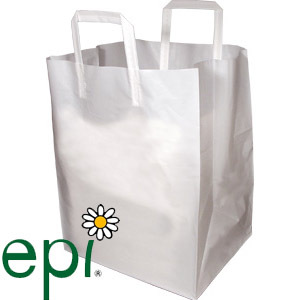 You should check out this line of biodegradable Epi plastic bags. 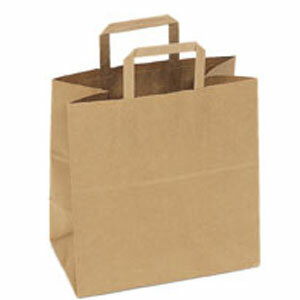 And the ultimate alternative to plastic are paper bags which are often recycled and easily recyclable. They come in standard sizes as well as specialized size for specific users (for example, bread). You can get premium bags with handles at affordable prices. 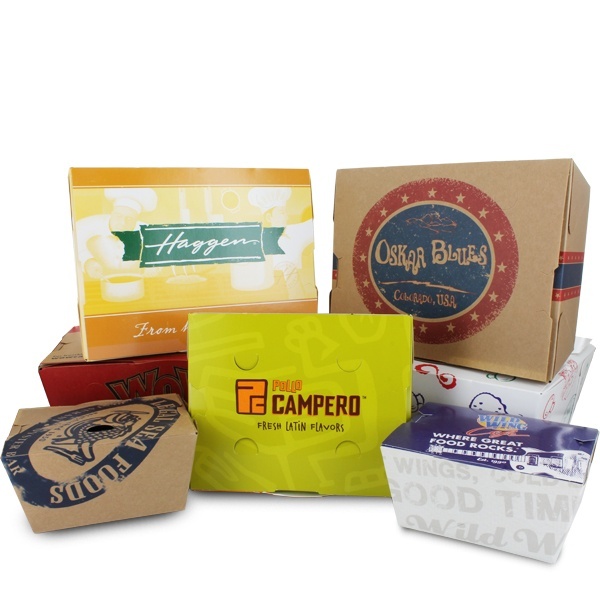 Check this assortment of recyclable paper bags. What is the minimum quantity to print? If the item is made first and then printed later, the minimum (and lead time) goes down. If the item needs to be printed first and then made (folded, glued, formed, etc) into an item after it’s been printed, the minimum (and lead time) goes up. Generally speaking we can print as few as 1,000 of one kind of bag. When it comes to boxes, we can often mix and match box sizes to create a 1,000 piece order. What is hot stamping? How do I know if it’s right for me? Hot stamping is a type of print process for customizing a packaging item with your own company’s name, brand, logo or slogan. It’s a great fit for small quantities and for new businesses. The quality is excellent and the look is much more striking than ink printing on an item. Hot stamping uses high pressure and high temperature, hand-fed printing that transfers pigment or foil to a bag or box. The results are bold, clean imprints ideal for simple logos. This process is not ideal for printing multiple colors, highly detailed images, or shading. We are happy to discuss (and often send) samples to you. The first thing we would need to discern is if the sample is necessary. You may see an item on our website that you think will be just perfect for you. And it could be exactly what you need. But then again, it may not be the best fit. That’s why we strongly encourage you to give our packaging advisors a call to go over the sample request. They frequently will have suggestions of other items to compare for either size, quality, functionality or price point. We want to get you the best sample for your needs. 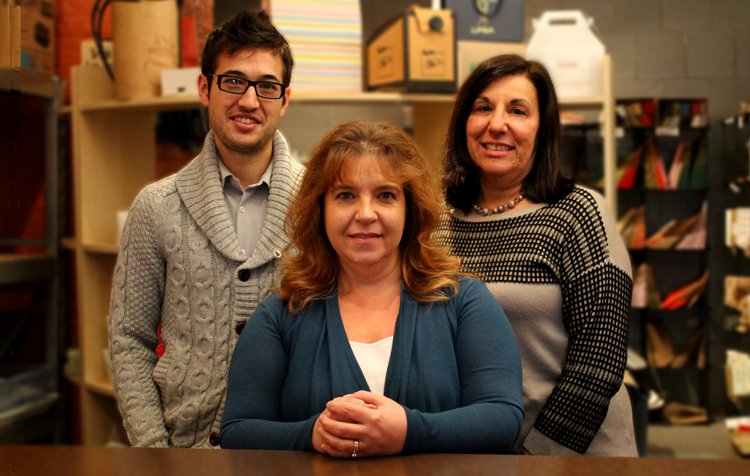 A few members of our Packaging Advisors team. Still have questions about Custom Packaging? 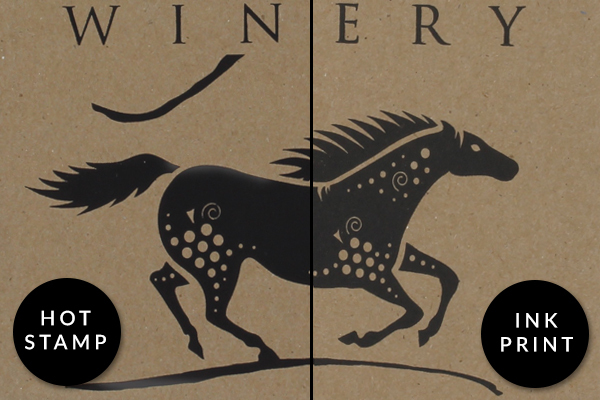 Give us a call at 888-321-2248 or check out our Custom Packaging category and fill out a form to get more info.